Last Friday, I was in a matatu which blatantly flouted some traffic rule , right in front of a traffic cop. It made him so pissed to the point of insults. How dare he not acknowledge his presence! The cop told us to get off, so that he can get his bribe take the matatu to the station. I and a few others were of the opinion that he should obligate the conductor to get us another matatu since we were at some random place and we’d have to walk some distance to get another. The traffic cop didn’t think it was his problem and told people to get off. Some of us protested but after he raised his voice, most people started getting off and silently got back part of their fare and started trekking. They were late for work, and didn’t have time for “meaningless arguments” as one put it. I was left behind with one other passenger still b*tching. But it didn’t matter cos our 2 voices weren’t enough. I took my cash and started walking feeling totally defeated and like an idiot. Ever since the Feb28 initiative was launched, I’ve been trying to find my own interpretation of it. I know Kenya needs a something, but I wasn’t sure what kind. I know we don’t need the kind of revolution that is happening in the former Northern Africa region now known as the Middle East. 2008 remains fresh in my mind. Plus, that kind of uprising would have worked in 2002 if Mo1 had refused to relinquish power. Despite what people say we do have the tools to make this country work. I also didn’t know how or where to start. The idea was great but was still vague to me. That morning, it started to become a little bit clearer. As Kenyans we have become conditioned to accept mistreatment especially coming from those of authority and power. Either due to ignorance of our rights or because of being shown over and over again that our rights mean nothing. Add to that the kind of politics that is keen on making sure that our differences are the first thing we focus on whenever anything of national importance is discussed. Majority of us just want to go to work, put food on the table and maybe have a few drinks over the weekend. So what if matatu drivers and traffic cops are abusing their power. So what if the City Council is increasing rates while doing absolutely nothing to improve the conditions of the City Centre? It doesn’t affect us directly and even if we talked about it it’s not gonna change anything. Even when the government spends 35 million gallivanting around the continent on shuttle diplomacy, it didn’t affect us directly. My paycheck remains the same. There’s been a lot of questions about what February 28th will achieve. What next. So we sing the national anthem,make some noise and then what? To be honest, I don’t know what next. All I know is we need a starting point. If it’s so hard for Kenyans to get together to do something as inane as standing and singing the national anthem, what will get us together? What’s important is we need action. I’m tired of taking blow after blow lying down. I’m tired of a group of people deciding what they are more important than the country. I am tired that barely a year after passing through a new constitution they show utter contempt to it as if it was worth less than the paper it was printed on. 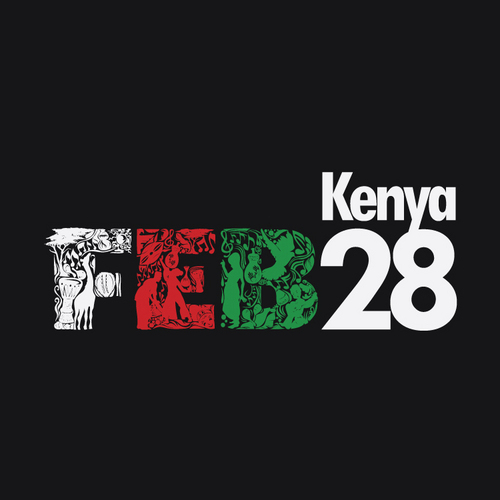 Maybe we need Feb 28th to prove to ourselves – and it’s more important to prove to ourselves than those who oppress us – that we can get together to remind ourselves that this country belongs to us and what binds us are the words of the National Anthem. Maybe some of us need to be reminded of what the colours of the flag represent. That the power of the country belongs to us. Granted a lot of what happened in the Egypt is the catalyst. When I watched those guys in Tahrir Square, I wanted to be a part of that. Not the violence, but part of making a difference for my country. It just takes a spark in our minds to set something like that in motion. Maybe we need to remind ourselves that every small step counts. And then maybe next time I’ll get support in the matatu. Maybe we’ll even manage awaken the conscious of a few lawyers who’ll help us find ways to put a stop to the madness that is parliament. Or at the very least we can start a chain of awareness and education, so that in 2012, when we cast our votes, we are ready to put in place people who will stand for us. I don’t know for sure what comes next. We need to decide that. But I know we have to do something! I wish I met you 5 years ago. Maybe I would have reacted to you differently. Maybe I would have done it different, spoken instead of choosing to keep quiet. I believed in taking risks back then. I believed in living for the moment letting tomorrow take care of itself. I wore my passion in my sleeves, followed my heart and all else paled in comparison. If I didn’t love with every last drop of my being, then it wasn’t worth it. Consequences be damned. The future will take care of itself. That’s what I thought the day I finally got the courage to look into my heart and realized that what I felt for you was more than friendship. It was somewhere between the endless conversations and the silly laughter. I looked at you and thought: I wouldn’t mind looking at that face for the rest of my life. And then: this would never work. See, if it had been 5 years ago, I would have acted first, thought later. I would tell you how sometimes when we are in the middle of a conversation and I look up and catch you smiling, I get distracted and I just stare. Or when you hold my hand, in a friend like gesture, that long after you let go I can still feel the warmth of your fingers intertwined with mine. Your eyes sometimes leave me breathless in the middle of a sentence. If I had met you 5 years ago, then that evening when we found ourselves looking at each other, unspoken promises in the air, I would have kissed you instead of walking away. I wish I had met you when my heart was new; when it was easy to believe that love would conquer all. Before it became what it is right now; a puzzle of mismatched glued on pieces. Some pieces missing. Before it was yanked from the realms of naivety and thrown into hard and cold reality. Now there’s an ocean of silence between us. Too much felt, too little said. Nothing left to do. Another piece. Remember me. Remember that I was there, even though it was just a moment. Remember that sometimes the right people happen at the wrong time. Remember that sometimes the differences that first attract us to each other are the ones that end up keeping us apart. Most important remember that I cared, even when I didn’t show. Especially when I didn’t show.